I generally like any book written by Henry Cloud. He adequately blends a commitment to scriptural truth with an understanding of modern psychology and counseling. I really like this book because it is honest about spiritual growth and does not overly simplify the topic. Townsend and Cloud discuss how difficult issues in our lives often stay the same even with our best efforts to change them. They discuss what growth and change look like, and how we can attain them. The essential processes that make people grow are described. How those processes fit into a biblical understanding of spiritual growth and theology is explored. This book is also very practical as it is filled with real examples, questions for reflection or discussion, and probing insights that can help the reader experience the kind of change and growth they have longed for. In addition to helping Christian individuals in their pursuit of improved living, this book is an excellent resource for House Churches. 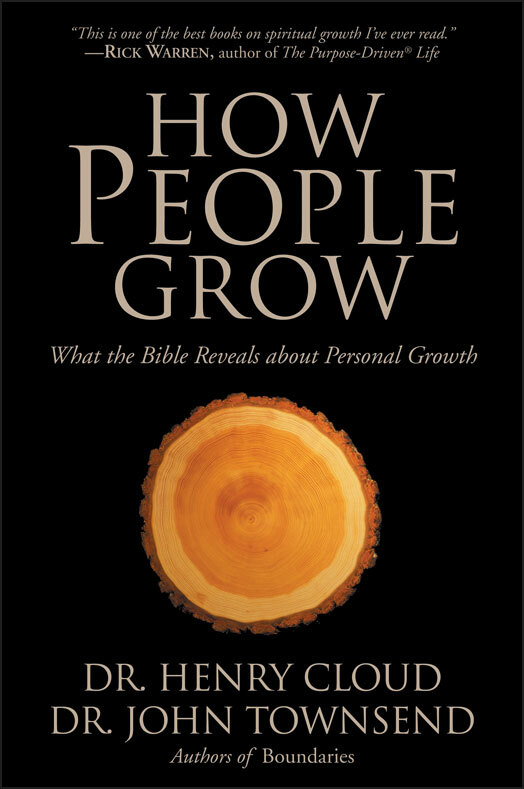 The How People Grow Workbook has been constructed to follow the principles of the book. Readers are asked to connect with others, tell the truth about life and themselves, and face some difficult challenges. Readers have the opportunity to take new risks and work through old patterns. The goal is that growth becomes part of our daily thought life, prayer life and emotional life. The book is not close to exhaustive on the huge issue of spiritual formation. That is my only critique … I wish they had written more. However, as short as this book is, it is a sound and excellent starting point on a really important topic for every Christian.